If you don’t mind waiting hours to fill a massive flash drive with files then by all means go and drop a few hundred bucks on a 256 GB drive. But if you value your time, you’ll want to seriously consider a compact SSD flash drive instead. They boast sustained transfer speeds topping out at an impressive 433 MB/s, and are finally available in larger 480 GB capacities. OWC’s Envoy Pro mini isn’t the smallest flash drive you can buy, but it’s still certainly pocket-friendly. And what you sacrifice in a compact size you can more than make up for with speed, speed, and more speed. 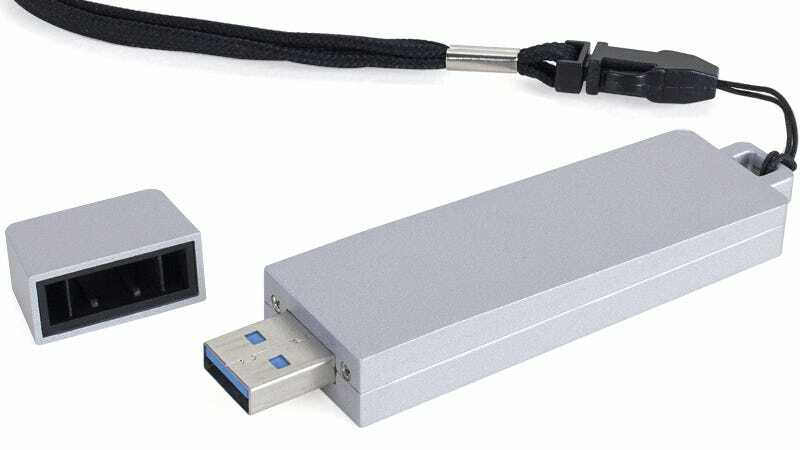 The fastest flash drives available from companies like SanDisk currently top out at 260 MB/s, while the OWC Envoy Pro mini manages 433 MB/s from a USB 3.0 connection.